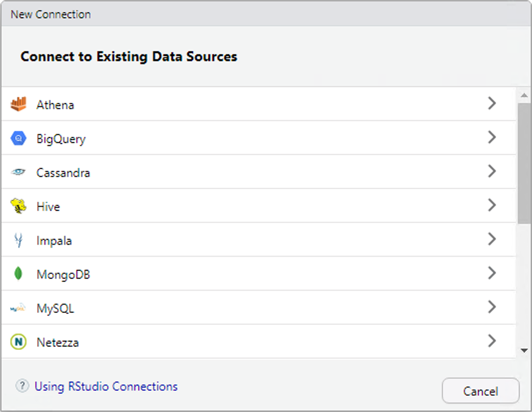 The RStudio Pro Database Drivers are installed on-demand by the RStudio IDE. Doing so requires internet connectivity. To test this, start RStudio and invoke the New Connection dialog from the Connections pane. The New Connection dialog shows the available database drivers. Select one, such as MySQL. 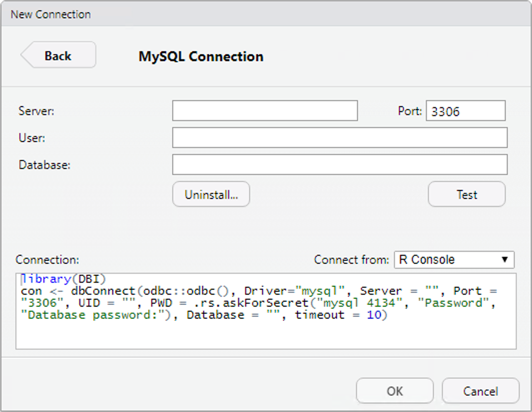 RStudio first offers to install or update the necessary packages for database connectivity (unless previously installed). These packages apply to all database drivers, so this step will only happen once. Proceed, and the packages will download and install. 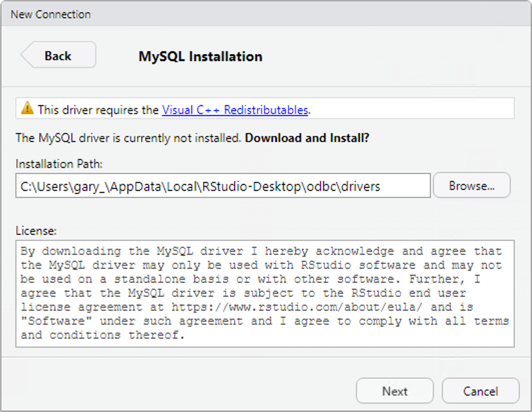 Once packages are installed, the prompt for installation of the database driver itself will appear. 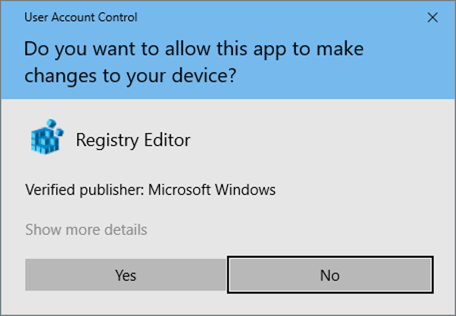 On Windows, each driver needs to make changes to the registry, and will require administrator access. Finally, the database connection can be configured by the user. On subsequent attempts to create a connection with this driver, RStudio will go straight to this screen.